It was down to the final lap this time at the Formula E race in Punta del Este. 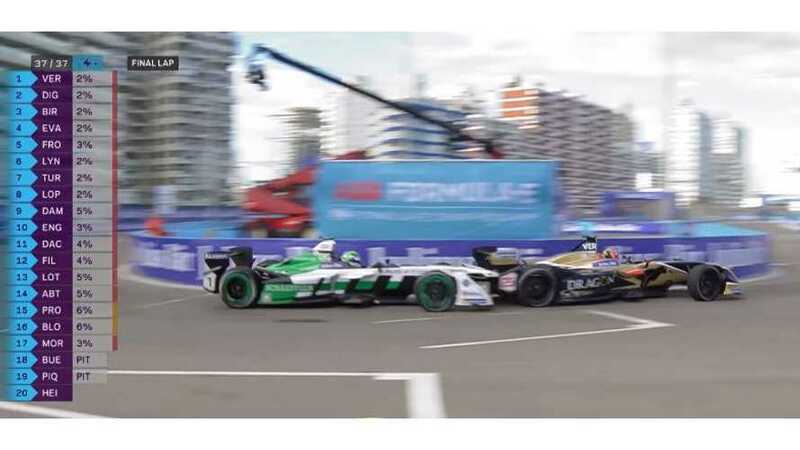 Watch as Jean-Eric Vergne survived an intense last-lap battle with Lucas di Grassi to win a thrilling Punta del Este ePrix and extend his Formula E points lead. Race highlights from another thrilling race in Punta del Este - could JEV maintain his lead at the top of the the standings?